Step 2: Complete the Attributes fields - the most important being Title, Response Text, and Email results. Step 3: The 'Fields' section at the bottom of the page will now be available to edit. Click on Add new field. 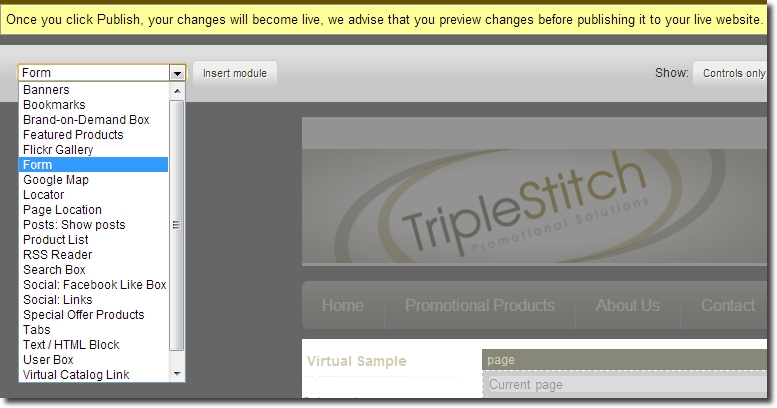 Step 4: You'll see several options on the left which dictate what the customer completes. In this example I've chosen 'Text'. The Title is what the field will be labelled. The description is optional but can be used to explain further what you're asking for. 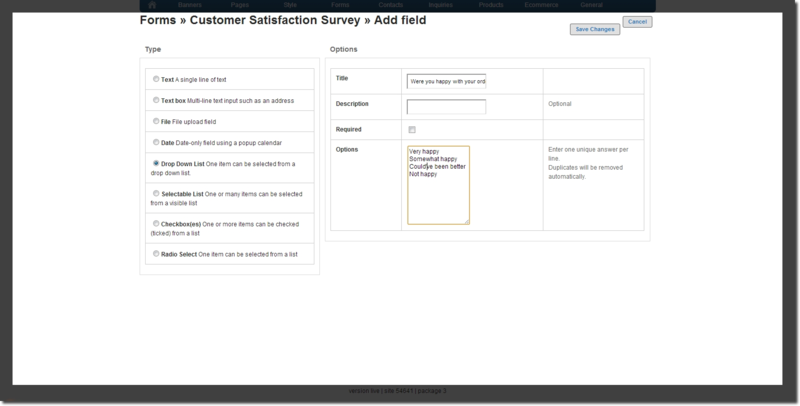 The Required box, when checked, makes this a mandatory field that has to be completed by the customer. The Error Message shows up if the customer doesn't complete the field. The Default Value, if filled, will show content in the field as standard (can be over-written). Save changes. Step 5: Add any additional fields. In this example I've chosen a Drop Down List. 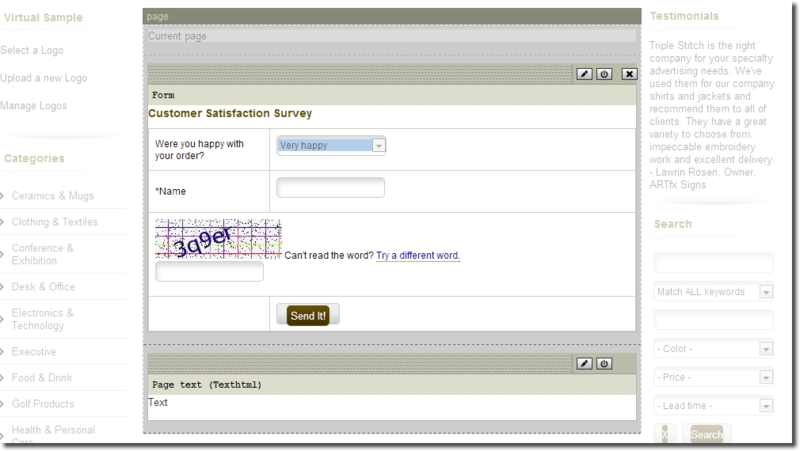 Step 6: Drag 'n' drop the form fields into the order you want them to appear on the form. Save changes. 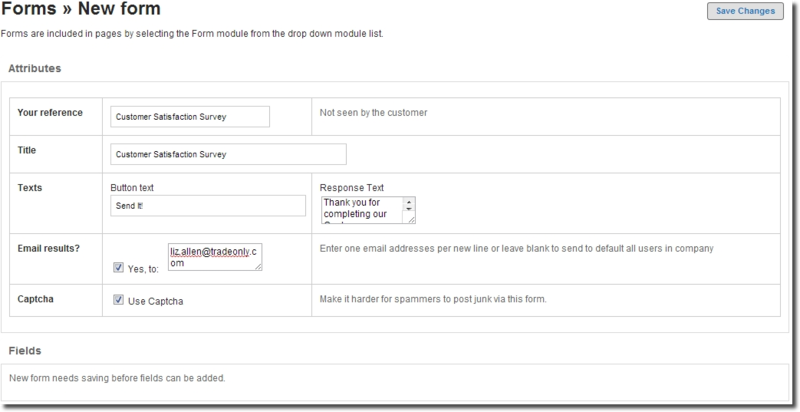 Step 7: Now you can add the form to any page by choosing 'Form' from the module drop down. Step 8: Choose which form to add to your page from the drop down menu, and click Save. Step 9: Drag 'n' drop into place and click on Publish to make your form live on your website.